기사요약: 박근혜 정권의 “문화계 블랙리스트”와 관련되어 조사가 이뤄지고 있는 가운데 전임 이명박 정권 하에서도 이러한 블랙리스트가 있었던 것으로 밝혀져 충격을 주고 있다. 박원순 서울시장은 최근 MB정권에서 있었던 “박원순 제압 문건”과 관련해 박 서울시장이 이 전 대통령을 고소했다. Seoul Mayor Park Won-soon on Tuesday asked state prosecutors to investigate former President Lee Myung-bak and now-imprisoned former spy chief Won Sei-hoon for an alleged covert smear campaign against him during the Lee administration. The liberal civic-activist-turned mayor filed a complaint with the Seoul Central District Prosecutors Office, via his attorney, against a total of 11 -- Lee, Won and nine others at the National Intelligence Service -- on possible charges of abuse of power, defamation and violation of NIS laws. This came after the NIS’ internal committee for reform last week confirmed the discovery of two documents detailing the spy agency’s covert scheme targeting Park, then a human rights lawyer. 기사요약: 최근 새 EP를 발매하며 돌아온 방탄소년단은 이제 목표가 빌보드 Hot 100 차트 진입이라고 밝혔다. BTS is back with a new release that is likely to send fans around the globe into a frenzy. The K-pop act returned with its new EP, “Love Yourself Seung Her,” on Monday, with the ambitious goal of making it on Billboard’s Hot 100 chart. 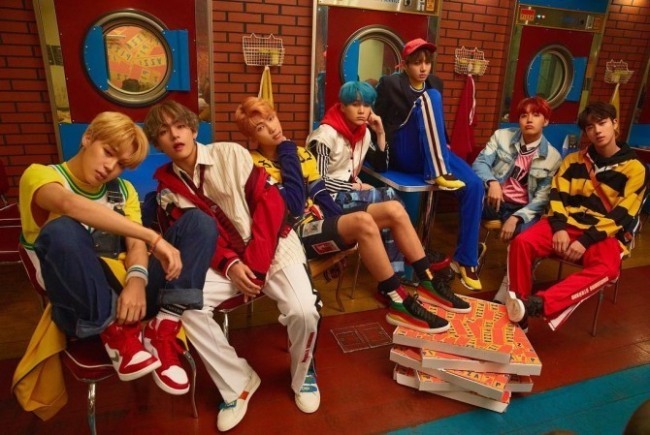 The 11-song album is led by the lead track “DNA,” a song influenced by electronic dance music and peppered with whistling sounds that linger in one’s ear. Bearing the message that “We are all entangled with each other from the beginning of time like fate, coming from the same root of one DNA,” the song is about the younger generation’s passionate and pure love.